Looking for a home builder to help you form start to finish? David Green Construction supports individuals through the full home building process. Our expert team will accompany you through all phases of design, planning, and construction of your ideas. We complete each project to your full satisfaction. How can you be sure? David Green has not only earned the title of Master Builder, he has also never had a single claim filed with the Builder’s Board! Every project starts with listening to what you have in mind. We get a feel for the usage and style you want and come up with a design that fits. Our designers work with you, tweaking the plans until they fit every aspect of your vision. Our 3D software allows you to preview the finished project before any work begins. By the time construction starts, you will feel confident that the design is an exact match for your style and needs. 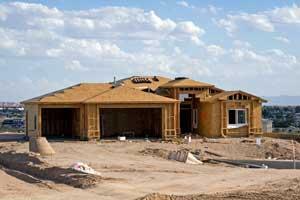 There's no room for error in new home construction. Choose a company who continually refines the home building process. We construct each home according to strict timelines and up-to-date techniques. Each building project is closely supervised to ensure it stays on track and is finished as quickly as possible. We also manage every aspect to keep the project on budget. Our depth of experience allows us to develop an accurate budget for each project. Having this, we can ensure the project proceeds on target. If you’re ready to custom build a home of your own design, we’re more than happy to help. We love helping you make the custom home of your dreams become a reality. We’ve built all sorts of custom homes with a dedication in quality work down to the finest details. If your changes aren’t too drastic–and you like your current location–we might be able to get by with remodeling at a lower cost and still get you the most important aspects taken care of. We’re available to discuss ideas for the construction of your new home! Finding a contractor to build your new home in Portland can be tough. After all, this is a much bigger decision than deciding where to order in dinner from, which can be a tough choice in itself! But we’ll help you set your mind at ease. We can build any type of custom house or ADU on your existing or new property. And with construction overseen by a Master Builder, you know you’re getting the best! Contact us today to get started.